Create action, accountability & results in this ebook! 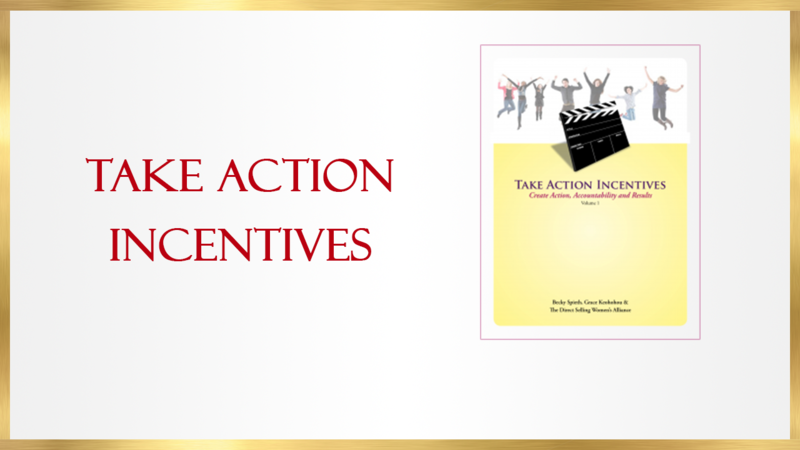 Discover why incentives work, what moves people to action, low cost & no cost rewards… plus so much more! Incentive Handouts, Trackers and Planning sheets included to increase sales, sponsoring, bookings, team growth, attendance. There are also great theme ideas included to transform your business and your team!